The white ice moon Enceladus crossing in front of the orange atmosphere moon Titan. 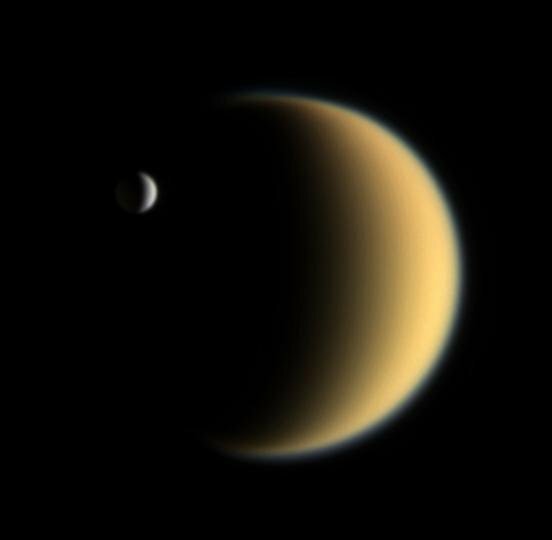 Unfortunately a bit fuzzy, but then again Titan with its methane rich atmosphere is always pretty fuzzy. Thank you for this lovely post. It looks very beautiful.